Former Gov. Pat Quinn discusses his troubled Neighborhood Recovery Initiative program. 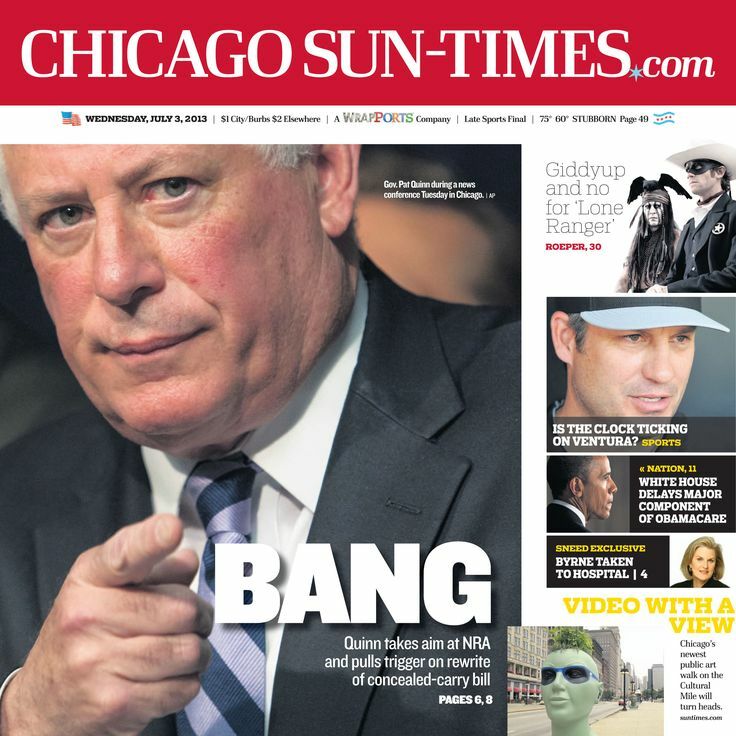 If Illinois ever had an accidental governor, Pat Quinn was it. I covered nearly all of his six years as chief executive -- from the point he declared "the ordeal is over" after succeeding impeached ex-Gov. Rod Blagojevich to the closing weeks of a tight election that Republican Bruce Rauner would go on to win. Quinn scored a handful of big accomplishments. But he was defined by an inability to power many of his ideas through a General Assembly that had Democratic supermajorities. Despite narrowly winning election in 2010, Quinn endured miserable voter-approval ratings in the low-30-percent range. Among his legislative victories, the Chicago Democrat enacted a temporary increase in the state income tax, the abolition of the state death penalty, a $31 billion capital program and the legalization of civil unions. He later helped end the scandal-tainted legislative scholarship program and legalized gay marriages. After losing a legal battle to withhold legislative pay to broker a pension deal, Quinn eventually attached his signature to landmark pension legislation, a move that triggered litigation from public-sector unions and turned many rank-and-file members against him. But many of Quinn's edicts got ignored by Democrats. His effort to increase the minimum wage fell on deaf ears. He couldn't shape a state concealed-carry law nor make headway on any significant gun-control measures. Quinn appointed an ethics-reform commission shortly after taking office in 2009, headed by former federal prosecutor Patrick Collins, but the governor never was able to muscle its major recommendations through the Legislature. A push for property-tax rebates went nowhere. Quinn also was unable to persuade lawmakers to permanently extend the temporary income tax increase, and he failed to eliminate a multibillion-dollar backlog of unpaid bills. Coupled with crippling pension payments year after year, the state's financial paralysis during his time in office led to bond-rating downgrades that made Illinois the least creditworthy state in the country. Having spent years carefully refining his image as a government reformer, Quinn was hurt by revelations surrounding the anti-violence program he launched one month before his 2010 election, the Neighborhood Recovery Initiative. A state audit criticized NRI for pervasive mismanagement, Republicans drove legislative hearings on the program, and federal investigators dug into possible improprieties. Former Gov. 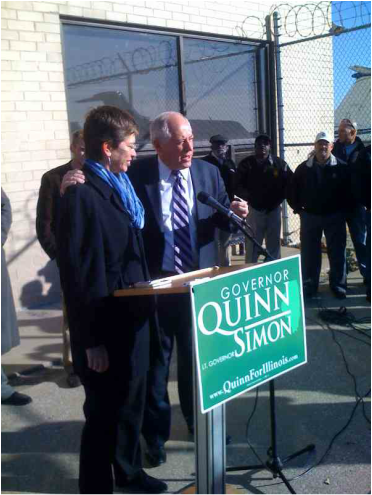 Pat Quinn and his one-time running mate, Sheila Simon, (above) campaign at Midway Airport during an October 2010 stop. Quinn (right) answers reporters' questions during a media scrum at Governor's Day at the Illinois State Fair. Pulitzer Prize-winning cartoonist Jack Higgins offers his take on Quinn shortly after he helped push through a temporary income tax hike.